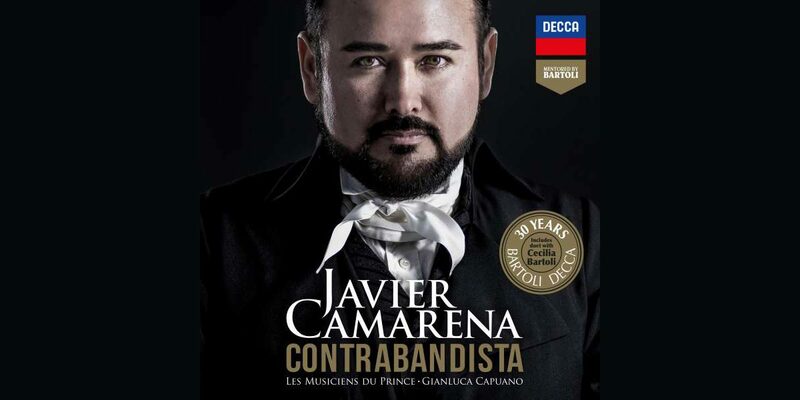 Javier Camarena’s new album Contrabandista is now available for purchase! The recording, Javier’s debut on Decca Classics and the launch of Cecilia Bartoli’s imprint “Mentored by Bartoli,” features three world premiere recordings by Spanish singer and composer Manuel García, alongside works by Rossini and Zingarelli. Gianluca Capuano leads the orchestra Les Musicians du Prince in this new release. Download the album on Amazon, Apple Music, Google Play Music or stream on Spotify. Listen to Javier’s duet with Cecilia Bartoli, “Principessa, sei tu…Amor…Possente nome!” from Armida, and the titular aria “Yo que soy contrabandista” from García’s El poeta calculista.